The company was founded in October 2010 by The Garten Family. The company started with 3 drivers doing a regional shuttle from the WestRock Low Moor Converting Plant to the warehouse in Raphine, VA. The company expanded in March 2011 when Garten Trucking opened the Low Moor Warehouse. In August 2012, Garten Trucking took over the Sonoco core shuttle for WestRock. August 2013, Garten Trucking was awarded the contract for the local WestRock mill shuttle and management. Today, the company has over 160 employees and is owned by 52% minorities/women. 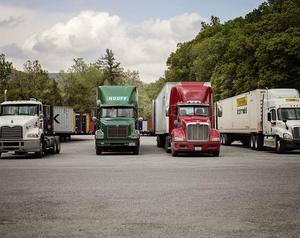 Garten Trucking, LC is family-owned and operated right here in Covington, VA. Since our company opened its doors in 2010, we’ve treated every customer like they were a part of our family. Other companies may offer similar services, but our services are the best, and come with a personal touch. 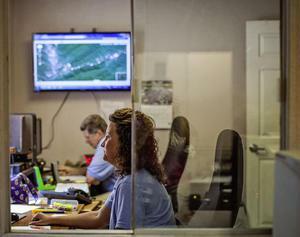 Our corporate office is located in Low Moor Virginia. 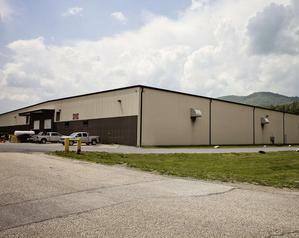 We have warehouse facilities throughout Alleghany county Virginia. 9310 Winterberry Ave. 153,000 sq.ft. 600 Tannery Road. 150,000 sq.ft. 901 AET Edgemont Drive 110,000 sq.ft. 901 AMEC Edgemont Drive 65,000 sq.ft. 105 E. Fudge Street 43,000 sq.ft. We currently operate over half a million square feet of warehouse and have the capability of operating much more as demand dictates. Call us for a quote. Our transportation facility is located off of Smokey Bear Lane in Covington Virginia. This is the hub for our transportation operation. We have our dispatch and load planning personnel located there with parking for 279 trailers. Our crew carefully inspects and cleans the trailers after each haul. There are also pre and post trip inspections done on all tractors and trailers. Our friendly personnel is here to help 24/7.